Sip on delicious craft Tiki cocktails while learning new techniques to step up your social media presence. 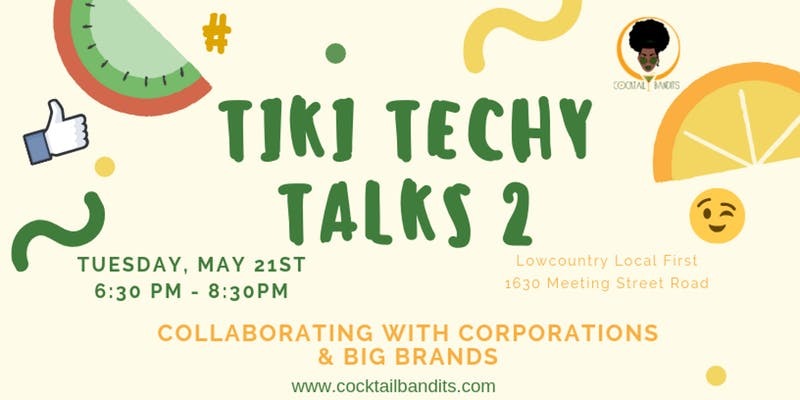 Learn about Tiki culture and brief history of Rum and its connection to Charleston. Live cocktail demonstration and Rum tasting. Each guest will enjoy one signature Rum cocktail and snacks during the session. This session will focus on collaborating with corporations and big brands.